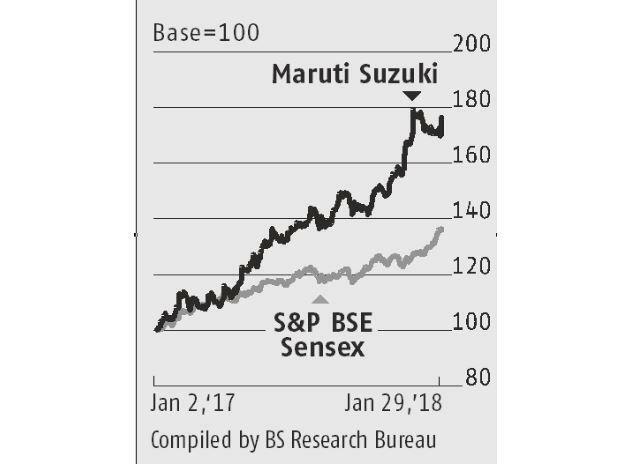 The Maruti Suzuki (MSIL) stock on Monday gained four per cent on expectation that the company's operating profit margins would expand due to a fall in royalty rates to parent Suzuki, higher localisation at its Gujarat plant and operating leverage as the plant scales up production. If royalty rates fall 150-200 basis points (bps) from the current 5.3 per cent of sales, the operating profit margins, according to analysts, will improve 40-50 bps over the next couple of years. HSBC estimates at least 25 per cent of Maruti's sales in FY19 should have a lower royalty. The new rate will be an addition to an existing arrangement, which reduces royalty in line with Maruti's contribution to research and development (R&D) of the vehicle, as was the case with the Brezza. The other margin-related trigger is scaling up of the Gujarat plant in three phases, each with a capacity of 250,000 units. The company is expected to reach 150,000 units in FY18 and will increase this as it expands production in phase-I. Phase-II will become operational in January 2019. Analysts at Nomura expect operating profit margins to stabilise, led by the rising share of the Gujarat plant, which should improve from nine per cent of Maruti's volumes in FY18 to 17 per cent in FY19. The margin before interest and taxes for product supply from the Gujarat plant will increase from eight per cent in FY18 to 12 per cent by FY20, led by lower freight cost, operating leverage benefit and tax incentives from the plant. Vendor localisation, currently at 15 per cent, is expected to reach 50-60 per cent over the next three to four years. 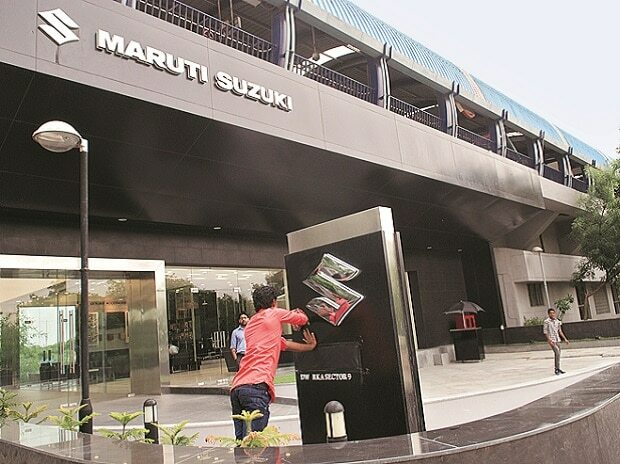 From the FY18 estimated level of 15 per cent, overall operating profit margin for Maruti should reach 16-17 per cent over the next couple of years, on the back of lower royalty rates and operating leverage. New product launches and the traction they get will be other triggers. The company, whose market has increased 300 bps from FY17 to the current 50.3 per cent, will launch the new Swift in February. This and other higher value/margin products, such as the Baleno, new Dzire, Brezza and the Ignis, 40 per cent of the domestic volumes, should improve overall product mix, realisation and profitability. The company plans to launch 15 new models between 2015 and 2020 in India. It will showcase new products next month, including an electric vehicle and a hybrid technology. Product refreshes include a new Wagon R, Alto and Ertiga. Given the existing and new pipeline, analysts expect volume growth of 10-13 per cent annually over the next few years. This and rising margins should mean faster growth in earnings, helping the stock sustain its premium valuation.